* Improve soil conditions and reduce fertilizer input. Effectively decompose base fertilizer (compost), reduce salt accumulation, neutralize pH value, and increase soil fertility. * Control diseases and pests, improve immunity. Rapidly activate the immune function, improve disease and pest resistant ability, effectively control root-knot nematode and continuous-cropping diseases. * Boost strong roots and inhibit rotten roots. Effectively improve root growth and increase root mass, significantly reduce rotten roots, and improve resistant ability. * Enhance nutritional supplement. Make more nutrients in the soil available for plants, promote symbiotic nitrogen fixation, improve nutrients efficiency, and consequently improve yield. 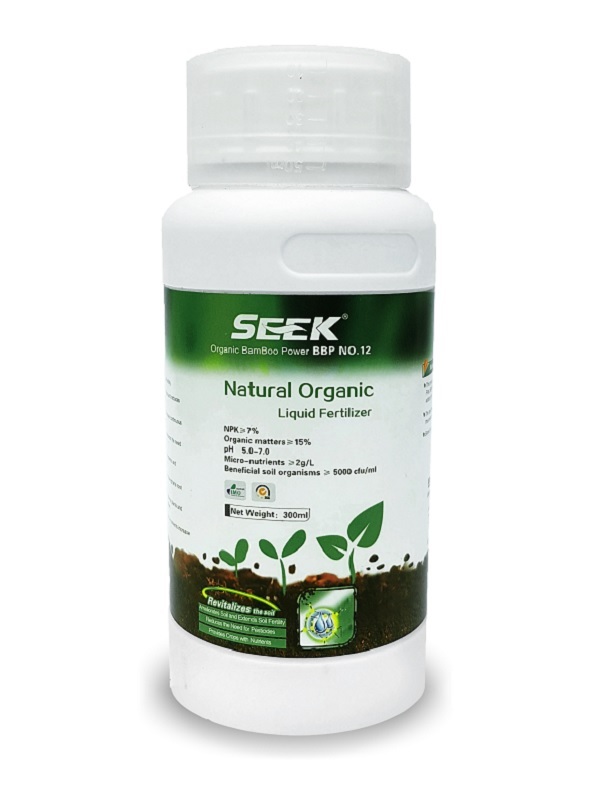 * About 1/3 of fertilizers would be reduced by continuous application with SEEK organic fertilizer.